Now this was a curio of time-travel theater. The Good Captain heralded from Divine’s neck of the woods, Bradford. His Good Ship has landed at Space Triplex for a short run and yesterday I was called to witness his melody, muse and weirdness. Assisted by a ten-year old clown who masterfully assisted to increase the weird factor. Brilliantly done, a wee shiny star. 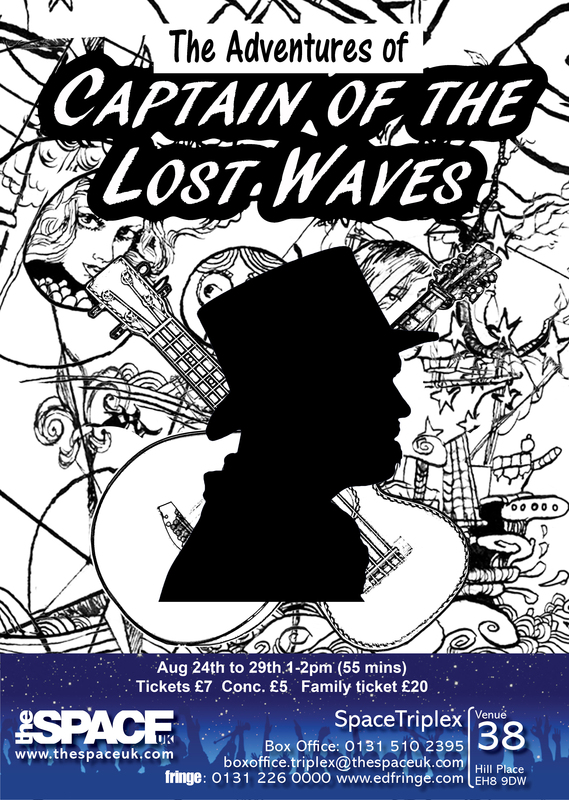 The Good Captain sang-sea faring songs with a hearty voice and nifty footwork, both enchanting and disturbing in equal, Burlesque measure.Fifty minutes of nautical mysticism brought to life with a genuine apparition of a Spirit Galleon. Actually this was a remarkable instance of Clairvoyance… Divine first at a performance. It’s not surprising though, The Good Captain and his Crew are all Mediums.